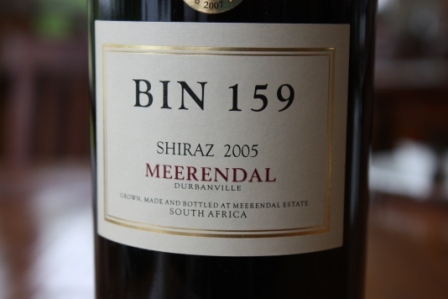 Meerendal Wine Estate dates back to 1702 when Governor Willem Adriaan van der Stel granted the farm to Jan Meerland. The estate lies in one of the coolest wine regions in South Africa making it ideal to plant the noble cultivars: Shiraz, Pinotage, Merlot, Sauvignon Blanc and Chardonnay. The Prestige range consists of the very best of Meerendal and made in small quantities – a wooded white wine, two red wines, a natural sweet wine and a MCC. The Standard range includes seven cultivar wines, a Rose and a blended red wine. The tasting centre is open daily for a casual tasting or sales. 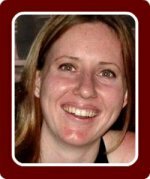 Tutored tastings can be arranged and are hosted by either Liza Goodman, Meerendal's resident Cellar Master or renowned Cape Wine Master, Bennie Howard. 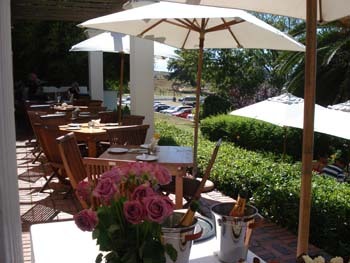 The Manor House Restaurant provides breackfast, lunch or dinners in the restored manor house of the estate. Ons is lief om by Meerenda te gaan ontbyt eet met die absolute gunsteling "eggs benedict with smoked salmon". Smaakvol en vullend! Sundays at Meerendal Wine Estate is Cape Table Buffet day, when the team of chefs lay out a family buffet with oven roasted carveries, soups, salads, starters and a spread of desserts. Wine is sold here at estate prices making booking essential. 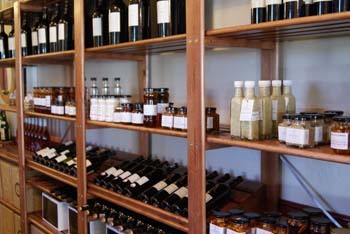 At the deli, situated in the wine tasting room, you'll find jams, rusks and other homemade goodies. 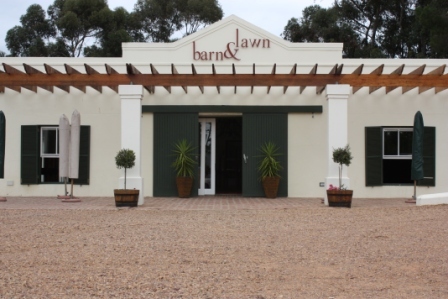 The Barn and Lawn is an all purpose function venue and has become a sought after wedding venue, but it can also be used for training, product launches, celebratory lunches or dinners or special events. The Lawn area was specially created to enhance the look and feel of the venue and any kind of marquee can be put up to accommodate up to 500 guests. Sundays the Barn and Lawn becomes a hive of activity as families make use of the spacious area to enjoy the Cape Table Buffet, while the kids can run around and make use of the jumping castle. The Loft offers conferencing fascilities for up to 25 people.